Oral Medications can mask the pain but do not aid in the healing of a Hamstring muscle injury. Anti-inflammatories and Pain killers can cause Hamstring muscle related injuries to worsen. One out of three athletes who sustain an initial hamstring injury will reinjure their hamstring within a year of returning to play. It is theorized that weakness in the hamstring muscle due to incomplete or improper (scar tissue) healing will often cause a hamstring re-injury. A Grade 1 Hamstring Injury is a mild strain with a few torn muscle fibers in the hamstring. A Grade 2 Hamstring Injury is a moderate strain and the patient shows a definite loss in strength. 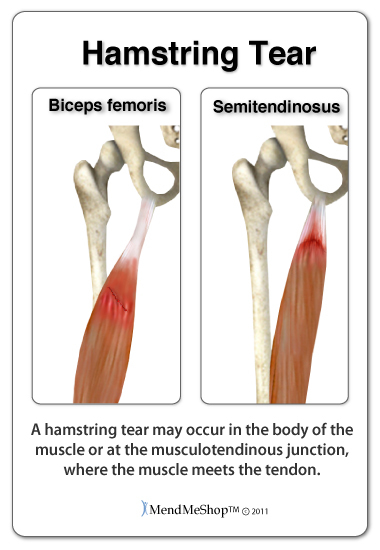 A Grade 3 Hamstring Injury is a complete tear of the hamstring muscles. 10% to 23% of all acute soccer injuries are typically hamstring tears and hamstring strains (also known as strain injuries of the posterior thigh). A complete tear of the Hamstring will require reattachment surgery. There is no avoidance of this. Hamstring avulsion surgery, a surgery performed to repair a complete tear in the hamstring, has become more common than in the past. Only a doctor will be able to make a proper diagnosis to determine if surgery is necessary for your hamstring avulsion. Due to swelling and fluid leakage from ruptured blood vessels, it can be difficult to diagnose through palpation (felt with the hands). An MRI or x-ray may be necessary for an accurate diagnosis. An x-ray will show if a small piece of bone has been torn away from the ishium. An MRI produces an image of the muscles, tendons, and ligaments that may have been damaged or displaced during or following the injury. If the hamstring tendon has retracted less than 1-2 cm, it may be possible to treat it with conservative measures. This will often depend on the activity level of the patient and what is required of the muscle following rehabilitation. If surgery is not necessary, rest and immobilization of the leg with a knee splint is highly recommended to reduce the possibility of the tendon retracting further away from the ishium (or shinbone). Ideally, the tendon will reattach itself to the bone with a bridge of scar tissue, however, the placement of the tendon and the scar tissue growth can be uncertain. If the hamstring tendon has retracted too far from the bone to repair itself, or the two sides of the torn muscle have pulled away from each other, surgery will be necessary. During surgery, an incision is made between the buttock and the top of the leg in the gluteal crease. The surgeon removes any scar tissue that has started to form since the injury and pulls the torn hamstring back into place. To surgically repair a tear in the muscle body, the surgeon wil suture the muscle fibers together with stitches. 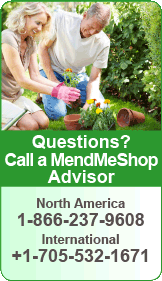 If the repair is necessary to attach the tendon to the bone, stitches or staples are used. If a bone fragment has been pulled away with the tendon, a screw is used to reattach the bone. Regardless of whether the tear is repaired with surgical or non-surgical methods, scar tissue forms to "heal" the tear by reattaching the torn tissue together. However, this scar tissue is tough and fibrous and less elastic than the normal healthy tissue that existed before the injury. As a result, the hamstring is left weaker and more prone to re-injury. It is important to follow an appropriate rehabilitation plan, treat the scar tissue that has built up during healing (see treatment section below on how to do this), and return to activity slowly. Neurolysis of the sciatic nerve involves breaking up adhesions (scar tissue) to free the nerve and relieve the pressure and pain from inflammation.. If all conservative treatment methods have been explored and your symptoms (pain as well as limited use for daily activities) persists, then you will be considered a candidate for surgery. You and your doctor may decide to move forward and have you undergo surgery, which will trigger the next chapter of your hamstring recovery journey. Your post surgery rehabilitation efforts will have an important impact on how soon you can return to living and enjoying your normal daily life. The surgery that is selected for your injury will depend on the level of your pain and the amount of damage your doctor suspects there may be to your hamstring muscle(s). Much of this damage will be determined through the use of physical exams, x-rays and MRI results. The longer you have waited to have surgery will also be a factor that determines what type of surgery is needed. With acute (recent) tearing the separation in your muscle or tendon is likely to be very minimal. If you have an acute tear you may qualify for less invasive surgery (such as a arthroscopic, open surgery or an mini-open procedure). Surgeons will always choose a shorter, less invasive procedure if it's possible to do so. Most surgeons know that a less complicated procedure will have less trauma to the hamstring and a much quicker rate of recovery after the surgery. If you're suffering from an acute hamstring injury and surgery is needed your surgeon will have you wait up to 72 hours before they'll do the repair to the hamstring muscle tissue. This gives your body time for the injury to settle down. If you're in pain why do they make you wait before they repair your hamstring injury? Your body will send a large amount of blood via inflammation to the tissue where the damage is located to start the healing process. Hamstring tissue is very soft and squishy to begin with; damage or injury of any kind only further weakens the muscle(s). The increased blood flow makes the hamstring muscle tissue even softer, almost like Jello. During the first few days of injury, the surgeon will have a difficult time sewing your 'jello-like' tissue back together. If the surgeon even tried to do this it's likely that you'd end-up needing more surgery as the procedure to fix your hamstring muscle won't hold. If you've suffered a complete rupture of your hamstring muscle it's important to have the tissue reattached. If not the hamstring muscle(s) will shrink and you may lose strength, or in some cases, experience a decrease in your range of motion. Your doctor will advise you to treat your injury with cold compression for at least 48 to 72 hrs after the injury to allow the inflammation to be reduced. This must be done before any other therapy, treatment or surgery can happen. One week after your hamstring has ruptured the tissue may begin travel away from the bone and / or separate from the remaining muscle/tendon. The ends of the tissue begin to fill in with scar tissue as part of the healing process. This added scar tissue decreases the natural strength of the tissue and may negatively affect your ability to do normal activities. If scar tissue is present then a more complicated procedure may be needed to clean out the presence of any scar tissue for optimal healing after the surgery. The tissue that has ruptured may need to be retrieved from inside your other tissue back to the original attachment point. Your surgeon may make a larger incision into your skin so they're able to retrieve this tissue. 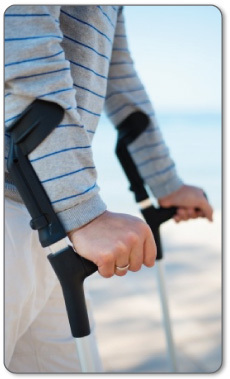 An injury that's 4 to 6 weeks old is considered a chronic rupture. When you have a chronic hamstring muscle rupture the tear continues to separate further. A chronic rupture requires a difficult, drastic surgery - often times there may be a transfer of tissue needed to complete the surgery and a lengthy recovery period. For most soft tissue injuries, arthroscopic surgery is the preferred procedure as it is minimally invasive and patients usually recover at a much faster rate. This type of surgery will provide the surgeon with first hand insight into the nature of the injury and possibly limit the amount of soft tissue damage from surgery, helping promote a more effective recovery. Some cases however, will require open surgery as the scope of arthroscopic surgery is limited in comparison to full exposure of the hamstring in open surgery. If you undergo an open surgery for your hamstring, you should anticipate a much longer time for rehabilitation efforts. As with any surgery there are risks to every procedure depending on a lot of factors, including your age, the severity of your injury and your level of health going into the procedure. It's always best to discuss all possible risks and complications with your doctor before the procedure. It's important to be aware of the risks you may face with any procedure intended to fix or relieve pain from your hamstring injury. This is the traditional surgery and remains the 'gold standard' of surgery treatments. Open surgery is used when there's a large amount of damage to the muscle tissue, or there are bone fractures resulting from an acute injury, or there is additional tissue damage to other tendons or ligaments. 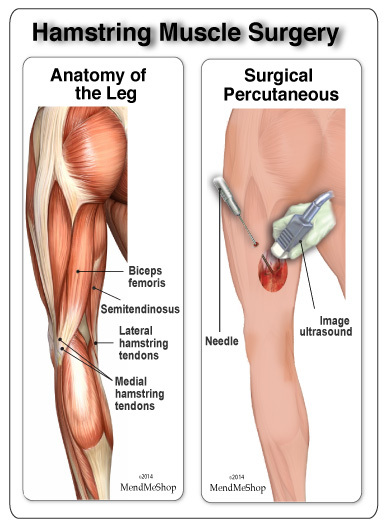 During this procedure one long incision is made in the area of your hamstring injury. 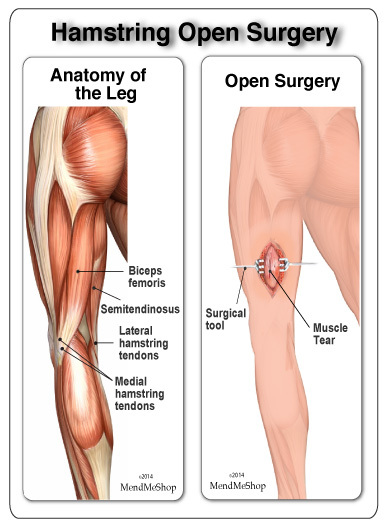 An open incision this large provides enough room for the surgeon to prepare the tissue for repair by reattaching the torn hamstring muscle to the tendon or sewing the torn edges of the muscle together. Non-absorbable sutures are used to bring both sides of the tear together and make sure that the repair is as strong as possible. A small screw/anchor is used to reattach the tendon/muscle back to the bone if the it has been ruptured completely. An open procedure with precise suturing improves overall strength of your hamstring muscle during the recovery process, making it less likely to re-rupture in the future. This surgical technique is done during open hamstring surgery. To perform a debulking or debridement the surgeon will cut away any damaged/inflamed tissue. If the hamstring muscle or tendon is ruptured at the tendon, they will also scrape down any calcium deposits (bone spurs) that have formed on the bone. 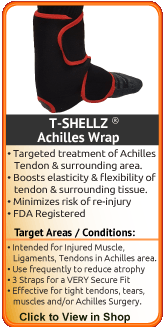 Scar tissue may be removed from the muscle fibers, tendons, tendon sheath surrounding the tissue or from both surfaces. Debulking or debridement of the hamstring muscle or tendon is used as a last resort, if all methods of conservative therapy have been exhausted. For this procedure the surgeon will make one long incision in the skin and/or smaller vertical incisions depending on the area of your hamstring muscle injury. These smaller vertical incisions are made with a pair of surgical scissors and are commonly referred to as "stab incisions". Once the incisions are opened up, the surgeon will place precise sutures in the muscle tissue with non-absorbable stitches to strengthen the damaged muscle tissue. This suturing technique reduces the amount of scar tissue on the muscle after surgery and provides better surface healing of the skin. Unlike the traditional method of an open surgery, this procedure has less risks and complications involved. To learn about all risks you may face be sure to speak to your doctor. This procedure can be done in 2 ways using regular (small) incisions or "stab incisions" with a needle. 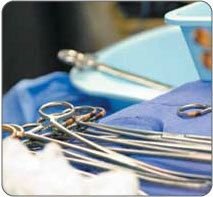 When the regular (small) incision procedure is done, the surgeon will make 3 to 4 incisions (approx. 2.5 cm long) in the skin. Small forceps are used to free the soft tissue casing around your damaged muscle to make room for the surgeon to stitch/suture any tears. As an alternative to the regular (small) incision approach, your surgeon may use a surgical needle to repeatedly stab your tight and constricted muscle. These "stab incisions" will allow the surgeon to lengthen your muscle without seeing the actual tissue. This type of muscle surgery has been very successful in providing range of motion. In most cases the muscle in question has had open surgery with unsuccessful results and a build-up of scar tissue has further tightened the tissue. This type of surgery is normally used on joints of the body, like the shoulders or knees. This procedure is done using 2 to 4 small keyhole incisions approximately 4 to 5 mm in length. A thin tube containing a camera and light is inserted through an incision near the joint. Arthroscopic hamstring muscle surgery will provide the surgeon with a first hand look into the nature of the injury and what work must be done to fix the injury. 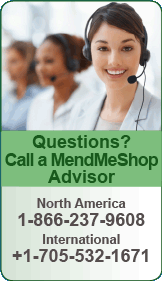 If the damage is not extensive, the surgeon will be able to complete the repair through an arthroscopic procedure. This is a minimally invasive procedure so it may limit the amount hamstring muscle tissue damage from surgery, helping promote a more effective recovery. It is important to understand that surgery may not give you 100% functionality of your leg, but you should be able to return to most if not all of your pre-injury activities. These surgical procedures are often performed with very successful results. What truly makes a difference is your commitment to a doctor recommended rehabilitation program after surgery as there is always a possibility of re-injuring your hamstring even after a surgical procedure. One complication of surgical repair for muscle/tendon tear is that skin can become thin at site of incision, and may have limited blood flow. During the first 24 to 72 hours after the surgery your leg will be tender, swollen and very painful. Your leg will be weak and unstable making it impossible for you to put weight on your leg without some kind of help. This is why your doctor or surgeon may suggest a brace that keeps your hamstring in a relaxed position and need to keep weight off of your leg to protect the repair. In addition to using crutches. This is usually why atrophy (loss) of your upper leg muscles happens. Ask any doctor and they will tell you that the success of your surgery depends on your level of dedication to regular at home care of your hamstring. 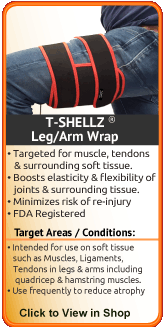 Most of our hamstring post-op clients have treated themselves successfully through regular use of a Cold Compress or Ice Pack and a Leg T•Shellz Wrap®. Using these therapies will lessen the chance re-injury, degeneration and muscular atrophy during your rehabilitation process. Many of our successful clients have combined these therapeutic treatments with a rehabilitation plan recommended by their doctor, surgeon or physical therapist. Rehabilitation for a proximal hamstring reattachment typically takes at least 6 months, due to the severity of the injury. Distal hamstring reattachments require approximately 3 months of rehabilitation before returning to athletic activities. Your doctor will tell you when it is safe to return to sports. Following surgery your doctor will prescribe rest and cold compression therapy to treat pain and swelling. In addition, cold compression treatments will reduce tissue damage that is caused by swelling and fluid leakage from injury or surgery - reducing the amount of healing that will be needed. You will be given crutches and possibly a brace to keep your hamstring muscles relaxed to avoid straining the repaired tissue. Click here to read about hamstring post-surgery rehabilitation. 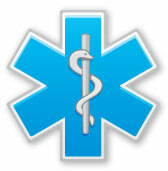 I want to learn more about Ice & Heat: Which Is Better For Treatment? During your recovery, you will probably have to modify and/or eliminate any activities that cause pain or discomfort at the location of your soft tissue injury until the pain and inflammation settle. 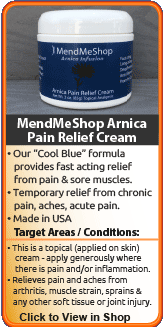 Always consult your doctor and/or Physical Therapist before using any of our outstanding products, to make sure they are right for you and your condition. The more diligent you are with your treatment and rehabilitation, the faster you will see successful results! 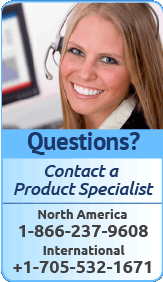 Product specialists are available 9:00 am to 10:00 pm Eastern Standard Time Monday, Tuesday and between 9:00 am and 5:00pm on Wednesday to Friday. If any question or concern arises, call us or simply send us an email at any time (we check our emails constantly all throughout the day and night.. even on holidays!). We will respond as soon as possible. Hamstring Muscles cross both your hip and knee, and help extend (straighten) the hip or bend the knee. A Hamstring injury is an injury to one of the three different hamstring muscles in the back of the thigh. The three Hamstring muscles name are: Biceps Femoris, Semitendinousus, Semimembranosus muscles. Continually using your Hamstring muscles while injured will lead to a worse injury; and yes, it is difficult to avoid using the Hamstring. 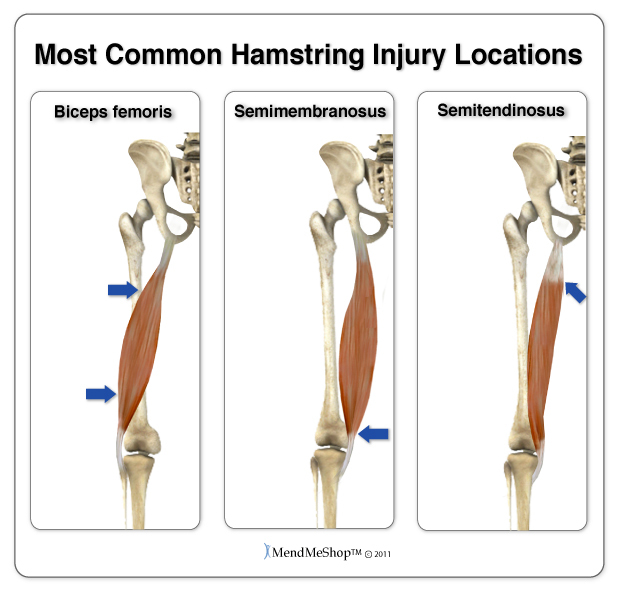 Most Hamstring injuries happen while playing sports, such as soccer or football. Once you have suffered one Hamstring injury, there is a very good chance you will suffer another Hamstring injury.